Cruise Ship At Harbor. Aerial View Of Beautiful Large White Liner At Sunrise. Top View Luxury Cruise. Lizenzfreie Fotos, Bilder Und Stock Fotografie. Image 109611296. Standard-Bild - Cruise ship at harbor. Aerial view of beautiful large white liner at sunrise. Top view luxury cruise. Cruise ship at harbor. Aerial view of beautiful large white liner at sunrise. 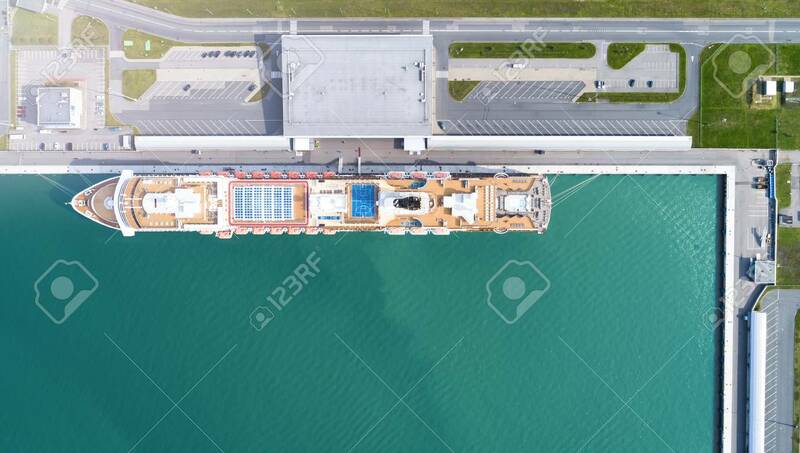 Top view luxury cruise.